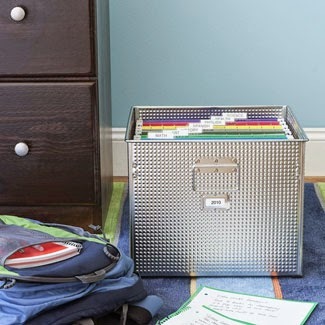 Create a system for kids to unload papers, like this one. Include a "permission slips" or "for parents-from the teacher/school office" tab, and make sure you go through it daily. 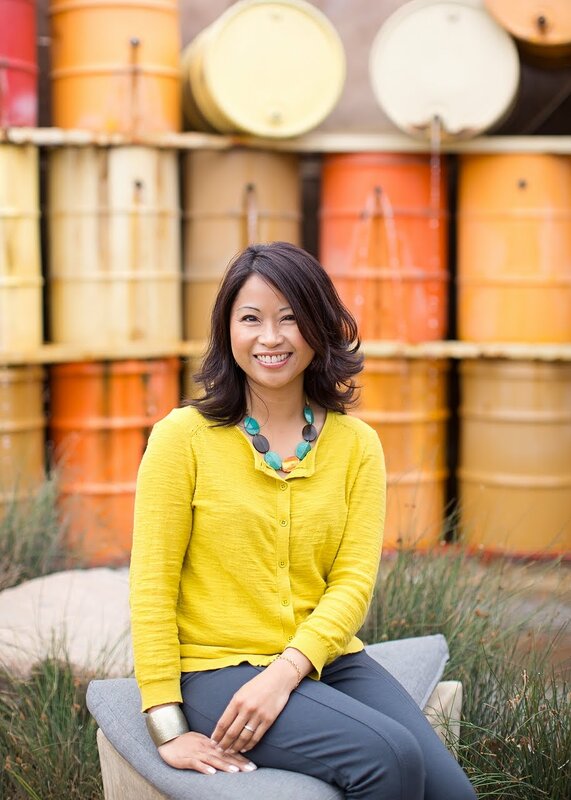 Also try to go through the system monthly or quarterly to purge any clutter. 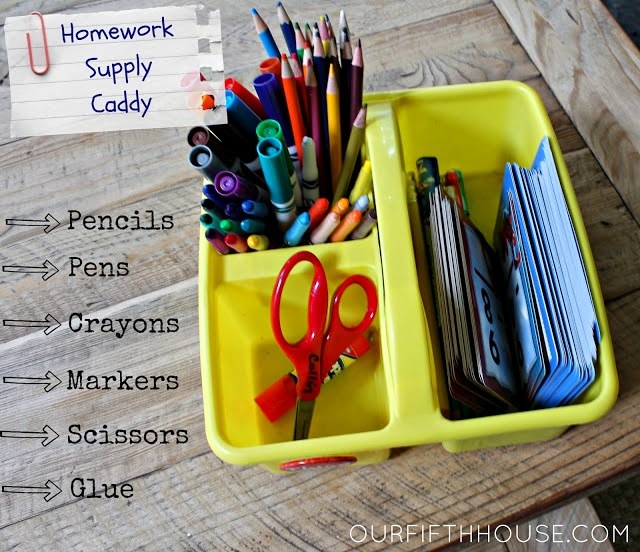 Keep school supplies stocked in your child's study area for homework time. 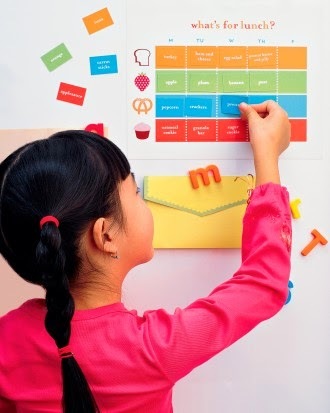 Make a weekly lunch menu with the help of your child. Kids are more likely to eat their lunches if they help plan the meals. It also makes grocery shopping easier. Last year, I started menu planning our dinners on a weekly basis. 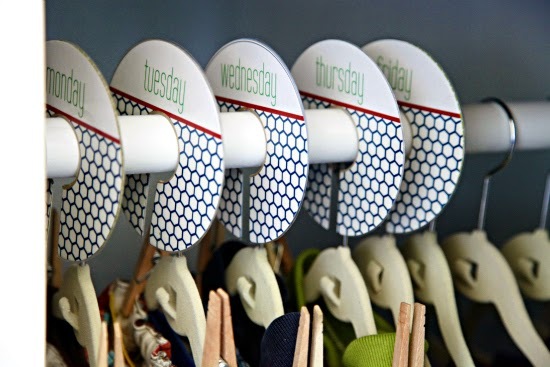 I was way more efficient when doing groceries, and our weeknights ran more smoothly! One less thing to think about on busy nights. And along the lines of school lunches, I enjoyed this article. I especially focused on the last two ideas (lunches and outfit organization). This will hopefully get us out the door on time every day with less frenzy! Final Tips: Keep a sweatshirt and umbrella in your kids' backpacks for unplanned weather changes, especially as winter nears. Have your kids place their backpacks by the door (or in a designated spot) every night so it is never misplaced.